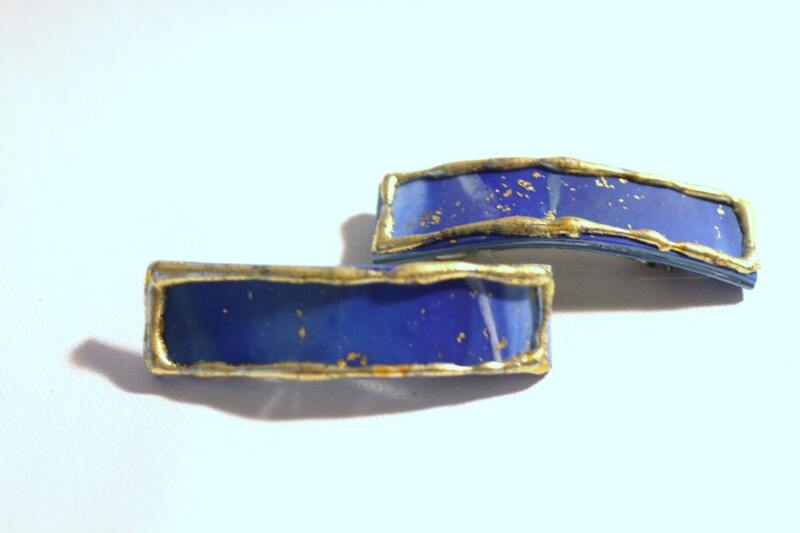 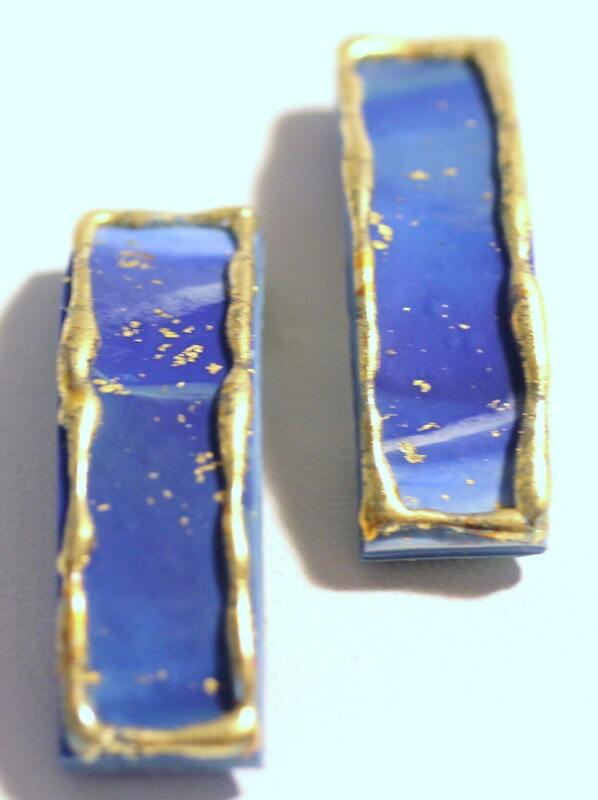 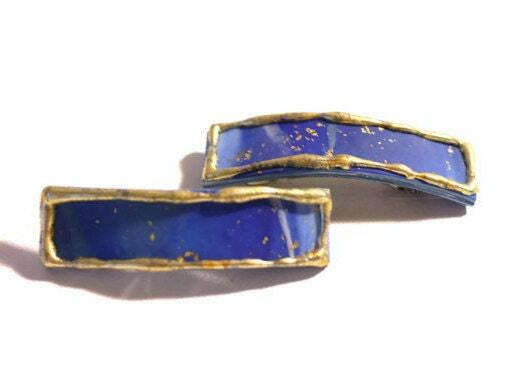 Beautiful Sea Blue Marbled Barrettes, oulined in gold leaf. 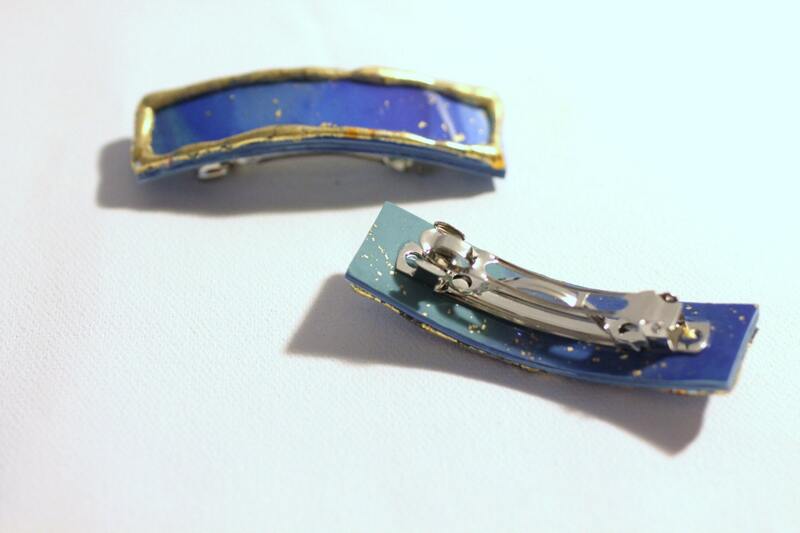 Each barrette measures about 2.5" on a french clip back. 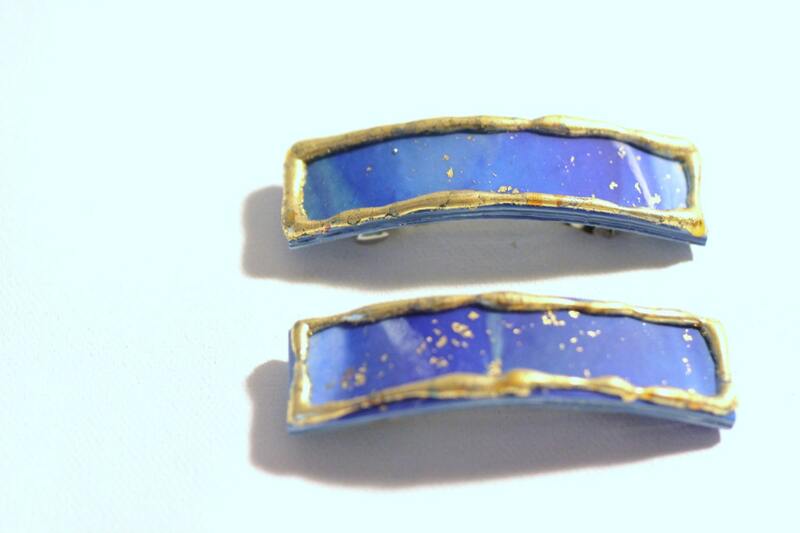 These barrettes are hand formed from marbled polymer clay making them light weight and easy to wear.